Just-in-time (JIT in PostgreSQL) compilation of SQL statements is one of the highlighted features in PostgreSQL 11. There is great excitement in the community because of the many claims of up to a 30% jump in performance. 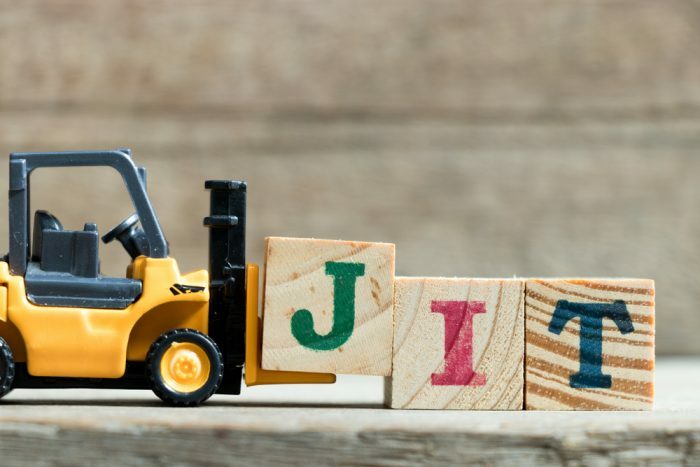 Not all queries and workloads get the benefit of JIT compilation. So you may want to test your workload against this new feature. However, It is important to have a general understanding of what it does and where we can expect the performance gains. Installing PostgreSQL 11 with the new JIT compilation feature requires few extra steps and packages. Taking the time and effort to figure out how to do this shouldn’t be a reason to shy away from trying these cutting-edge features and testing a workload against the JIT feature. This blog post is for those who want to try it. It is challenging because we don’t have the source code (SQL statement) ready within the PostgreSQL server. The source code that needs to undergo JIT need to come from client connections and there could be expressions/functions with a different number of arguments, and it may be dealing with tables of different number and type of columns. Generally, a computer program won’t get modified at this level while it is running, so branching-predictions are possible. The unpredictability and dynamic nature of SQL statements coming from client connections and hitting the database from time-to-time give no scope for doing advance prediction or compilation in advance. That means the JIT compiler should kick in every time the database gets an SQL statement. For this reason, PostgreSQL needs the help of compiler infrastructure like LLVM continuously available behind. Even though there were a couple of other options, the main developer of this feature (Andres Freund) had a strong reason why LLVM was the right choice. Tuple deforming: Converting on-disk image to corresponding memory representation. You can use compiler optimizations provided by LLVM for preparing optimized machine code. Option 1. Install from PGDG repository. Compiling from source requires us to install all compilers and tools. We might want to avoid this for various reasons. Installing packages from a PGDG repository is straightforward. On production systems or a container, you might want to install only the bare minimum required packages. Additional packages you don’t really use are always a security concern. Distributions like Ubuntu provide more recent versions of libraries and tool-sets in their default repos. However, distributions like CentOS / RHEL are quite conservative — their priority is stability and proven servers rather than cutting-edge features. So In this section of the post is mostly relevant for CentOS7/RHEL 7. Step 1. Install PGDG repo and Install PostgreSQL server package. This is usually the bare minimum installation if we don’t need the JIT feature. Since we have already added the EPEL repository, now the dependancy can be resolved by YUM and it can pull and install the necessary package from EPEL. Installation message contains the necessary packages. As we can see, there are two packages: llvm5.0 and llvm5.0-libs get installed. As we already mentioned, Repositories of recent versions of Ubuntu contains recent versions of LLVM libraries. For example, Ubuntu 16.04 LTS repo contains libllvm6.0 by default. Moreover, PostgreSQL server package is not divided to have a separate package for jit related files. So default installation of PostgreSQL 11 can get you JIT feature also. The primary means of distributing PostgreSQL is the source code. Building a minimal PostgreSQL instance requires just a C compiler. But building JIT options requires a few more things. One of the challenges you can run into is different errors during the build process due to older versions of LLVM and Clang present in the system. We should attempt to compile the source from a shell with all these paths set. Which contains lots of files with .bc extension these are pre-generated bytecodes for LLVM for facilitating features like in-lining. As we can see in the above example, a separate JIT section comes up in the explain plan. Here we see a 7.7% improvement in performance. I executed this several times and found that the performance gain is consistently 7-8% for this simple query (which takes 15 seconds to execute). The gains are higher for queries with more calculations/expressions. by the superuser. If it is not helping our workload, we can turn it off anytime. Nothing stops you from trying it in a non-production environment. We might not see a gain in small and simple queries that take less time for execution because the overhead in doing the JIT compilation can become more than executing the SQL statement. But we should expect a good gain in OLAP workload with complex queries that run for a longer duration. In this blog post, we’ll look at how to replace MySQL with Percona Server for MySQL on a CPanel, WHM VPS or dedicated server. In general, CPanel and WHM have been leaning towards support of MariaDB over other flavors. This is partly due to the upstream repos replacing the MySQL package with MariaDB (for example, on CentOS). MySQL 5.6 is still supported though, which means they are keeping support for core MySQL products. But if you want to get some extra performance enhancements or enterprise features for free, without getting too many bells and whistles, you might want to install Percona Server. I’ve done this work on a new dedicated server with the latest WHM and CPanel on CentOS 7, with MySQL 5.6 installed. Besides the backup, this is a fairly quick process. Depending on your dependency chain, this could remove Percona XtraBackup, but that can be fixed. Let’s accept this uninstall. And there you go, you are now running on Percona Server for MySQL 5.7. If your managed providers tell you it’s not supported, don’t worry! It works as long as CPanel supports MySQL 5.6. If you have any issues, just restore the backup. NOTE: One thing to keep in mind is that 5.7 breaks CPanel’s ability to create users in MySQL. I believe this is due to the changes to the mysql.user table. If this is an issue for you, you can always use Percona Server for MySQL 5.6. This post walks through the setup of MySQL replication with Docker using Percona Server 5.6 images. To keep things simple we’ll configure a pair of instances and override only the most important variables for replication. You can add whatever other variables you want to override in the configuration files for each instance. Note: the configuration described here is suitable for development or testing. We’ve also used the operating system repository packages; for the latest version use the official Docker images. The steps described can be used to setup more slaves if required, as long as each slave has a different server-id. docker exec -ti masterdb 'mysql' -uroot -pmysecretpass -vvv -e"GRANT REPLICATION SLAVE ON *. * TO repl@'%' IDENTIFIED BY 'slavepass'G"
GRANT REPLICATION SLAVE ON *. * TO repl@"%"
docker exec -ti masterdb 'mysql' -uroot -pmysecretpass -e"SHOW MASTER STATUSG"
We’re done setting up the master, so let’s continue with the slave instance. For this instance the “docker run” command also includes the “–link masterdb:mysql” command, which links the slave instance to the master instance for replication. Finally, we have a pair of dockerized Percona Server 5.6 master-slave servers replicating! As mentioned before, this is suitable for a development or testing environment. Before going into production with this configuration, think carefully about the tuning of the “my.cnf” variables and the choice of disks used for the data/binlog directories. It is important to remember that newer versions of Docker recommend using “networks” rather than “linking” for communication between containers. 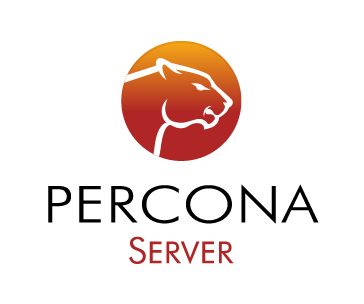 Percona is glad to announce the release of Percona Server 5.6.22-71.0 on January 12, 2015. Download the latest version from the Percona web site or from the Percona Software Repositories. 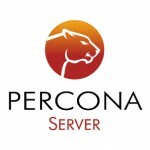 Based on MySQL 5.6.22, including all the bug fixes in it, Percona Server 5.6.22-71.0 is the current GA release in the Percona Server 5.6 series. Percona Server is open-source and free – and this is the latest release of our enhanced, drop-in replacement for MySQL. Complete details of this release can be found in the 5.6.22-71.0 milestone on Launchpad. Percona Server has implemented improved slow log reporting for queries in stored procedures. TokuDB storage engine package has been updated to version 7.5.4. Percona Server with an older version of TokuDB could hit an early scaling limit when the binary log was enabled. TokuDB 7.5.4 fixes this problem by using the hints supplied by the binary log group commit algorithm to avoid fsync’ing its recovery log during the commit phase of the 2 phase commit algorithm that MySQL uses for transactions when the binary log is enabled. Debian and Ubuntu init scripts no longer have a hardcoded server startup timeout. This has been done to accommodate situations where server startup takes a very long time, for example, due to a crash recovery or buffer pool dump restore. Bugs fixed #1072538 and #1328262. A read-write workload on compressed InnoDB tables might have caused an assertion error. Bug fixed #1268656. Selecting from GLOBAL_TEMPORARY_TABLES table while running an online ALTER TABLE in parallel could lead to server crash. Bug fixed #1294190. A wrong stack size calculation could lead to a server crash when Performance Schema tables were storing big amount of data or in case of server being under highly concurrent load. Bug fixed #1351148 (upstream #73979). A query on an empty table with a BLOB column may crash the server. Bug fixed #1384568 (upstream #74644). A read-write workload on compressed InnoDB tables might have caused an assertion error. Bug fixed #1395543. If HandlerSocket was enabled, the server would hang during shutdown. Bug fixed #1397859. The default MySQL configuration file, my.cnf, was not installed during a new installation on CentOS. Bug fixed #1405667. The query optimizer did not pick a covering index for some ORDER BY queries. Bug fixed #1394967 (upstream #57430). SHOW ENGINE INNODB STATUS was displaying two identical TRANSACTIONS sections. Bug fixed #1404565. A race condition in Multiple user level locks per connection implementation could cause a deadlock. Bug fixed #1405076. Other bugs fixed: #1394357, #1337251, #1399174, #1396330 (upstream #74987), and #1401776 (upstream #75189). If you’re upgrading TokuDB package on CentOS 5/6 you’ll need to restart the MySQL service after the upgrade, otherwise TokuDB storage engine won’t be initialized. 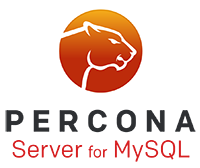 The post Percona Server 5.6.22-71.0 is now available appeared first on MySQL Performance Blog. There are a couple of posts about setting up Percona XtraDB Cluster on Vagrant and Percona Server on MySQL Sandbox – those are two of the top tools used by the Percona Support team for testing and bug processing among other things. In this post, however, I will show you how to use Docker with Percona Server on Ubuntu 12.04. After installing Docker, you may either download docker images via ‘docker pull’ and store docker images on your server so you can spin a new docker container in an instance or you may choose to do a ‘docker run’ on the terminal and implicitly download/store the specific docker image from index.docker.io and run the image afterward. As you may have noticed, we have just created a new interactive (-i) CentOS 6.5 docker container and ran bash in a single line of command. Detaching from the container is as easy as typing CTRL+p – CTRL+q, you’ll get to your terminal if you typed the right keys. Now that you have a working docker container you will then have to install the needed packages and repository. Starting MySQL (Percona Server). SUCCESS! There you have it, a freshly installed Percona Server 5.6.17 on CentOS 6.5 Linux container. Yay! We’re basically following installation instructions for Percona Server from the documentation. Just the same way as you would do on any server, you can install other equally important Percona software on the same container to complete your docker environment. As an added bonus, you can contribute to the Docker Community by commiting your container and pushing it to the docker registry. I’ve shown you how easy it is to spin a docker container and install Percona Server 5.6 in it. This is by far one of the fastest ways to create test/staging environments to simulate production servers. For further reading you may want to read Docker’s official documentation here. I hope that this has piqued your interest to try it out yourself. And if that happens we would love to know how Percona Server and other Percona software perform on your docker environment. Cheers! The post Using Percona Server 5.6 with the Docker open-source engine appeared first on MySQL Performance Blog. To kick off the Percona Live MySQL Conference & Expo 2014, Percona held the first “Open Source Appreciation Day” on Monday, March 31st. Over 210 people registered and the day’s two free events focused on CentOS and OpenStack. The OpenStack Today event brought together members of the OpenStack community and MySQL experts in an afternoon of talks and sharing of best practices for both technologies. After a brief welcome message from Peter Zaitsev, co-founder and CEO of Percona, Florian Haas shared an introduction to OpenStack including its history and the basics of how it works. Jay Pipes delivered lessons from the field based on his years of OpenStack experience at AT&T, at Mirantis, and as a frequent code contributor to the project. Jay Janssen, a Percona managing consultant, complemented Jay Pipes’ talk with a MySQL expert’s perspective of OpenStack. He also shared ways to achieve High Availability using the latest version of Galera (Galera 3) and other new features found in the open source Percona XtraDB Cluster 5.6. Amrith Kumar’s presentation focused on the latest happenings in project Trove, OpenStack’s evolving DBaaS component, and Tesora’s growing involvement. Amrith also won quote of the day for his response to a question about the difference between “elastic” and “scalable.” Amrith: “The waistband on my trousers is elastic. It is not scalable.” Sandro Mazziotta wrapped up the event by sharing the challenges and opportunities of OpenStack from both an integrator as well as operator point of view based on the customer experiences of eNovance. OpenStack Today was made possible with the support of our sponsors, Tesora and hastexo. Here are links to presentations from the OpenStack Today event. 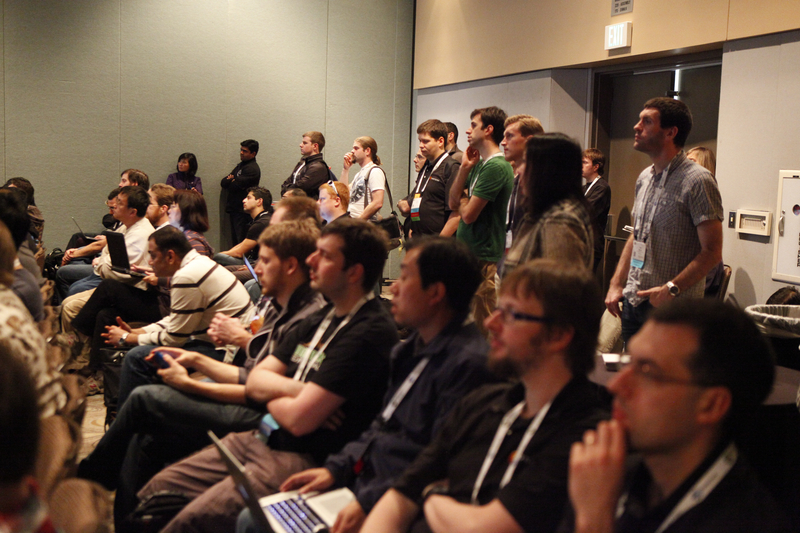 Any missing presentations will soon be added to the OpenStack Today event page. What is OpenStack, and what’s in it for DBAs? Speakers in the CentOS Dojo Santa Clara event shared information about the current status of CentOS, the exciting road ahead, and best practices in key areas such as system administration, running MySQL, and administration tools. Here’s a rundown of topics and presentations from the event. Any missing presentations will soon be added to the CentOS Dojo Santa Clara event page. Thank you to all of the presenters at the Open Source Appreciation Day events and to all of the attendees for joining. I hope to see you all again this November 3-4 at Percona Live London. The Percona Live MySQL Conference and Expo 2015 will also return to the Hyatt Santa Clara and Santa Clara Convention Center from April 13-16, 2015 – watch for more details in the coming months! 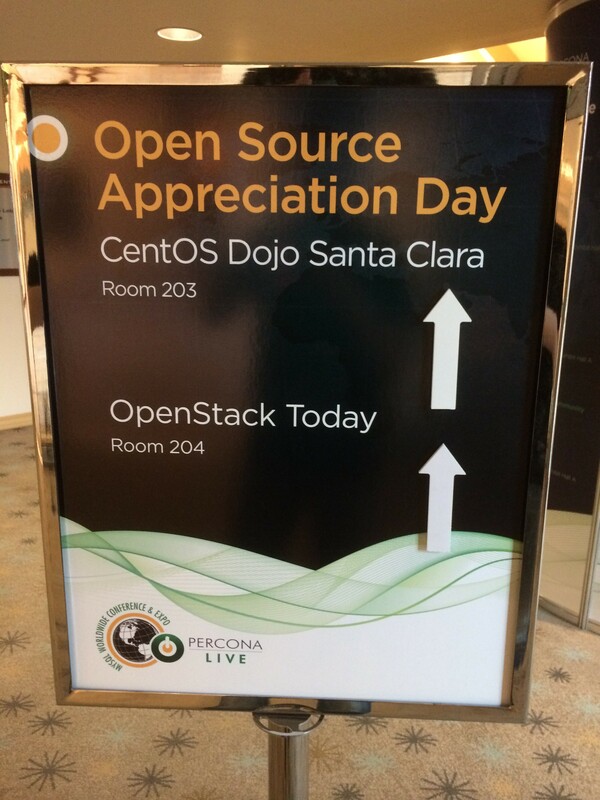 The post ‘Open Source Appreciation Day’ draws OpenStack, MySQL and CentOS faithful appeared first on MySQL Performance Blog.